Nebraska has been blessed with an abundance of water, rich soil and breeze that whips across the plains. The first two are inextricably linked and frequently cited because of their necessity to the state’s largest industry, agriculture. The third, however, has rarely been mentioned in the same breath, despite its mostly untapped potential. Long a sleeping giant in terms of its potential for wind power, Nebraska appears to finally be on the rise. The American Wind Energy Association reported that the state grew by the greatest percentage – 39% in 2018 – of megawatts of wind energy capacity of any state. Read more here. Enel Green Power North America’s Photo of the 320-MW Rattlesnake Creek wind farm located in Dixon County, Nebraska. This entry was posted in Nebraska / Midwest News and tagged American Wind Energy Association (AWEA), Nebraska's wind energy development on April 19, 2019 by Helen Deffenbacher. Harrisburg, Pennsylvania and Michael Gerrard, director of the Sabin Center for Climate Change Law at Columbia University. regulation. Dernbach and Gerrard also plan to launch a website in May that will be a platform to provide resources and information to policymakers, lawyers and advocates. Read more here. Researchers at the Lappeenranta-Lahti University of Technology (LUT) in Finland and Energy Watch Group (EWG) have completed a 4½ year study that examined how to meet the goals of the Paris climate accords without such measures as carbon capture and geo-engineering. Their conclusion? 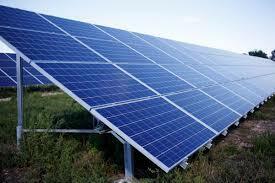 Run everything on electricity and generate all of that electricity using renewables, primarily solar. 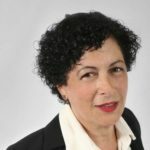 This entry was posted in NewsBlog, Research and tagged Energy Watch Group (EWG), Lappeenranta-Lahti University of Technology (LUT) in Finland, Legal Pathways to Deep Decarbonization in the United States on April 18, 2019 by Helen Deffenbacher. flooding to participate in this special loan offer. Subject to lender approval. A sample of eligible energy efficiency home and farm improvements are: Read the entire news release here. This entry was posted in Financing, Nebraska / Midwest News and tagged energy efficient home and farm improvements loans, Nebraska Energy Office, Nebraska Energy Office Dollar and Energy Saving Loans on April 17, 2019 by Helen Deffenbacher. 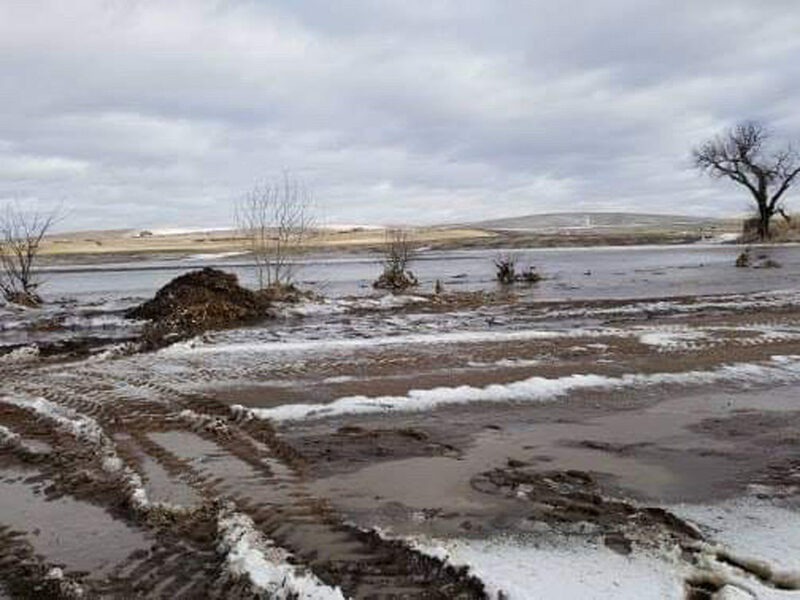 The severe flooding that inundated Nebraska last month washed away fields, bridges, and roads. But the extreme weather is also starting to sway residents’ thinking about climate. Resolve, a grassroots community-development business. “But after the flood a lot more folks are like, ‘Yeah, I have never seen that; my dad has never seen that; my grandpa has never seen that. This is a pattern that’s emerging.’” Read the entire article here. Photo by Annette Bloom of her Nebraska farm during the recent historic floods. exacerbate climate change, rather than being a catalyst of it. Nebraska is already home to a flourishing network of regenerative farms, and many have joined together under the farmer-owned co-op model, allowing them to pool a wide variety of products and satisfy growing demand. By giving back to the land and water what they take from it, these farmers are finding drastically reduced input costs, and even achieving higher yields. LB 243 to create a Healthy Soils Task Force passed April 11, 2019 by a vote of 43 to 0. 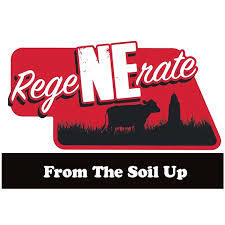 This entry was posted in Nebraska / Midwest News and tagged carbon sequestration through regenerative agriculture, Christian Science Monitor, climate action, LB243, Nebraska Healthy Soils Task Force, Nebraska Regenerative Agriculture, Nebraska's historic floods, RegeNErate Nebraska on April 17, 2019 by Helen Deffenbacher. expand with future phases. Hastings Utilities is moving forward with three pricing options. Photo: Fremont’s first of two 1.55-megawatt solar farms. 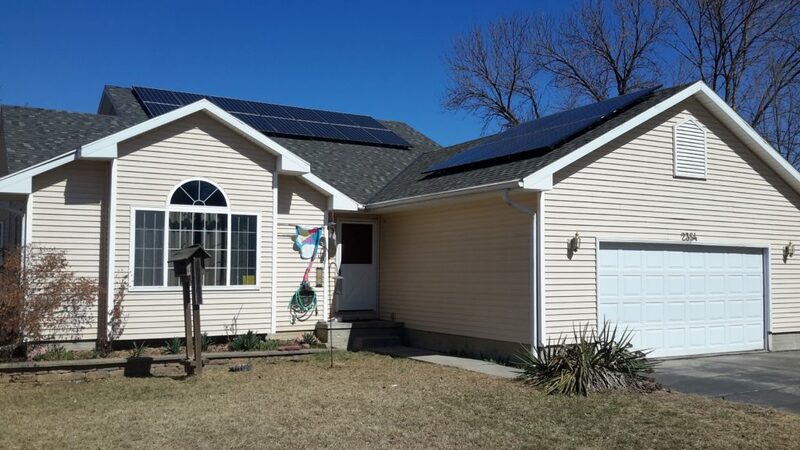 This entry was posted in Community-Scale Solar, Nebraska / Midwest News and tagged City of Hastings, Derek Zeisler, GenPro Energy Solutions, Hastings Tribune, Hastings Utilities, Hastings Utility Board on April 16, 2019 by Helen Deffenbacher. Approval was given Monday at the Norfolk City Council meeting regarding the state’s largest community solar project with NPPD. The project will be tied to a battery energy storage system (BESS) demonstration project expected to be in operation by mid-2020. NPPD, with support from the City of Norfolk, received a grant from the Nebraska Environmental Trust in the amount of $490,000 over two years for the battery energy project, which will be the first of its kind in the state . . . “As technologies have advanced and costs have decreased, rural Nebraska is now in position to produce energy as efficiently as it does food,” said Mayor Josh Moenning. 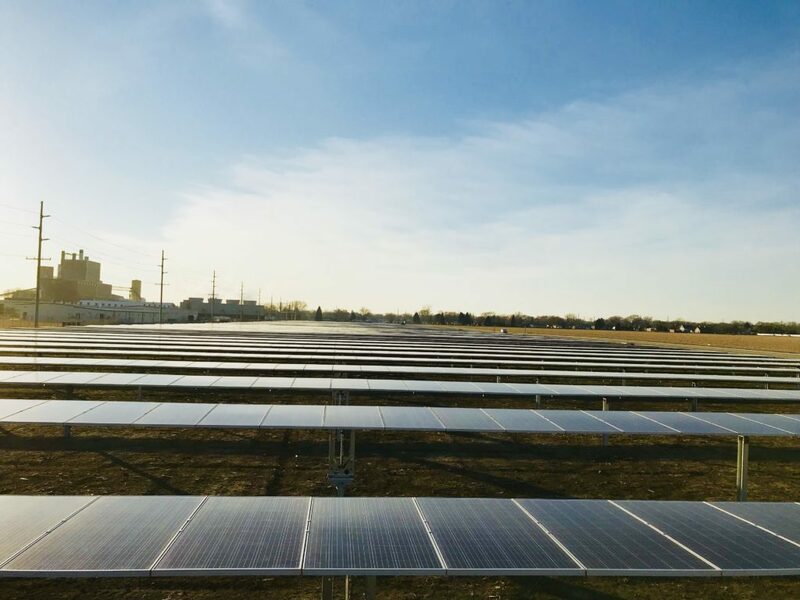 SoCore Energy Photo: Kearney’s 5.7-megawatt solar farm on 53 acres of the city’s technology park, Tech oNE Crossing, The panels are mounted on a tracker-designed racking system. The solar farm generates about 5% of Kearney’s peak demand. This entry was posted in Community-Scale Solar, Energy Storage, Nebraska / Midwest News and tagged City of Norfolk, first utility-scale solar+storage project in Nebraska, Nebraska Environmental Trust, Nebraska Public Power District, Norfolk Daily News, Norfolk Mayor Josh Moenning, NPPD's SunWise Community Solar Program, solar energy development in Nebraska, Tim Arlt - NPPD retail general manager on April 16, 2019 by Helen Deffenbacher. More than 80 percent of home buyers say energy-efficient features are important, a truth that’s reflected by data showing homes with solar energy systems fetch higher prices. A new Zillow® analysis shows homes with solar-energy systems sold for 4.1 percent more on average than others nationwide in the past year[ii]. The sale premium varies by market – 5.4 percent in New York, 4.4 percent in San Francisco and 3.6 percent in Los Angeles, for example. This Earth Day, Zillow is highlighting a green initiative that helps inform homeowners and buyers about their own solar potential by putting a Sun Number on more than 84 million homes nationwide. The Sun Number provides a sense of each home’s solar-energy potential and the energy savings that comes with it. Read the entire news release here. array, with south- and west-facing solar panels on their home and garage. Their home’s heating and cooling systems are both electric. 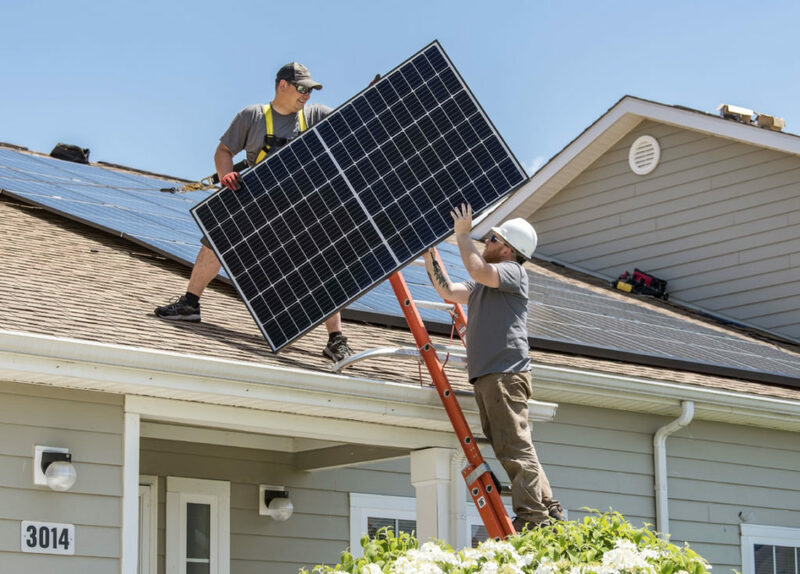 This entry was posted in NewsBlog, Research and tagged sale premium of solar homes, The Sun Number, Zillow, Zillow's new green initiative on April 16, 2019 by Helen Deffenbacher. more quickly than the rest of the country. 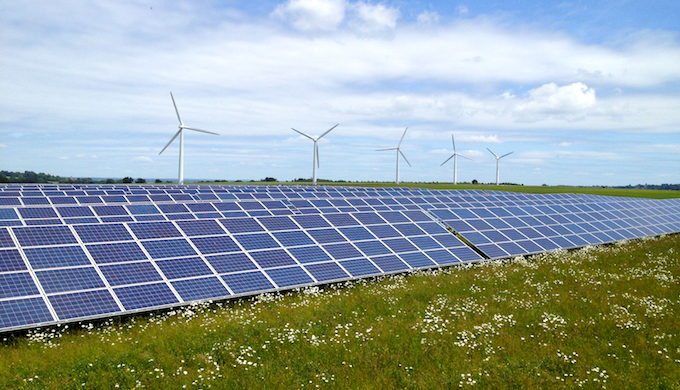 THE MIDWEST ADDED MORE than 28,000 clean energy jobs in 2018, resulting in a 4 percent growth rate, according to a recent report released by national advocacy groups Clean Energy Trust and Environmental Entrepreneurs. The 12 Midwestern states employed more than 737,000 workers in the clean energy industry last year, with 71.5 percent of those jobs falling under the category of energy efficiency.The report looks at employment in the following clean energy sectors: energy efficiency, renewable energy generation (including solar, wind, geothermal, bioenergy and low-impact hydroelectric power), advanced transportation, advanced grid and clean fuels. Read more here. This entry was posted in Nebraska / Midwest News, Research and tagged Clean Energy Trust, Clean Jobs Midwest, Environmental Entrepreneurs on April 15, 2019 by Helen Deffenbacher. Michigan, where policy makers are considering the idea that putting solar panels on farmland is a good thing. If the state does relax its restrictions, look for other US states to amp up the solar power rush. Read more here. Los Angeles is the US city with the most installed solar photovoltaic (PV) capacity, while Honolulu is the leader when it comes to solar power per person, according to a new report. Developed by the Mayor’s Office of Resilience, the Clean Energy Plan was approved in March by the City Council. It offers the framework to overhaul energy usage of municipal operations and the community with short- and long-term strategies aimed at achieving 100% clean energy by 2035. 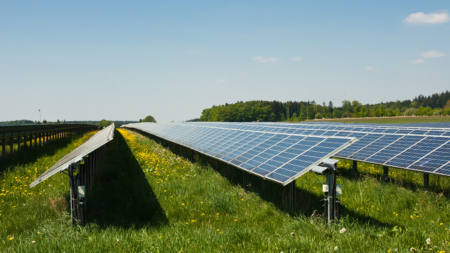 The Vermont utility has set a plan to decarbonize more aggressively than even Washington DC, as the second utility know to pv magazine to set a 100% clean electricity target. Major American data center operators often use shell companies to obscure their identities during negotiations with local authorities and businesses. For example, Google used Sharka LLC when it was planning a campus in Midlothian, Texas, and Jasmine Development LLC in Henderson, Nevada. Facebook previously contracted space as Raven Northbrook in Nebraska. Previously Posted: Google announces plans to build data center in Nebraska; signs point to Omaha area, Omaha World-Herald. Officials have stayed quiet on which company is behind the curtain of the mysteriously titled Project Wizard. 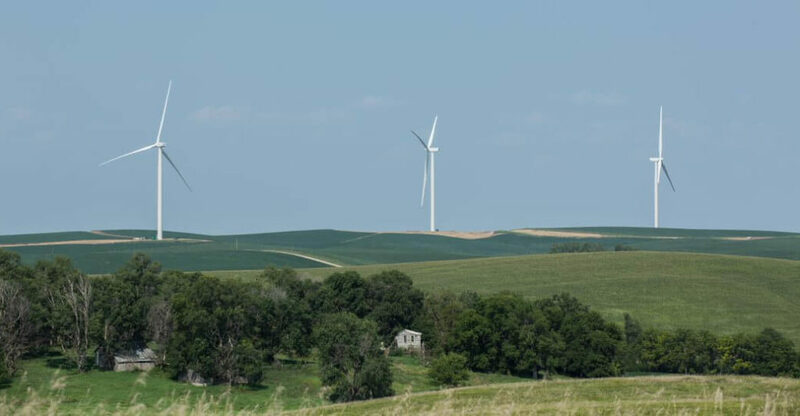 This entry was posted in Nebraska / Midwest News, NewsBlog and tagged 100% renewable energy news, data centers, Environment America's Shining Cities 2019 Report, Green Mountain Power, NPPD, OPPD on April 15, 2019 by Helen Deffenbacher.